John Schu (AKA Mr. Schu) is a blogger, a part-time lecturer at Rutgers University, and the Ambassador of School Libraries for Scholastic Book Fairs. He served on the 2014 Newbery committee, which named the title Flora and Ulysses: The Illuminated Adventures “the most distinguished contribution to children’s literature.” He has also served on ALSC’s Children and Technology committee, AASL’s Best Websites for Teachers and Learning, two readers’ choice award committees, the School Library Month Planning Committee, and the National Ambassador for Young People’s Literature selection committee. Every day is a giant book party for this teacher-librarian! In fact, Library Journal named him “The Xtreme Librarian” for the high level of exertion – along with some gears and stunts – he uses to get kids reading, and Instructor Magazine named him a Cool Teacher for redefining what it means to be a teacher-librarian. John blogs daily at MrSchuReads.com. He also hosts the Scholastic Book Fairs web series “Mr. Schu Goes to the Book Fair” and co-edits the “Reader Leader” blog. Eric has been in education for 26 years, and currently serves as a Technology Integration Specialist for SPARCC in Canton, Ohio where he oversees Google Apps for Education implementation, training, and support, as well as other technology integration initiatives. Eric is an authorized Google Education Trainer and Innovator, and provides Google Apps training to schools, organizations, and conferences throughout Ohio and across the country. He is a co-leader of the Ohio Google Educator Group at bit.ly/gegohio and runs the award-winning blog www.ControlAltAchieve.com where all of his Google Apps and edtech resources can be found. Alan Gratz is the bestselling author of a number of novels for young readers, including Samurai Shortstop, The Brooklyn Nine, Prisoner B-3087, Code of Honor, Projekt 1065, The League of Seven series, and Ban This Book. His latest novel is Refugee, the story of three different refugee families struggling for freedom and safety in three different eras and different parts of the world. A Knoxville, Tennessee native, Alan is now a full-time writer living in Asheville, North Carolina with his wife and daughter. Visit him online at www.alangratz.com. 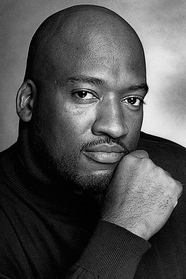 Bryan Collier received his B.F.A. from Pratt Institute in 1989. In 2000, Collier wrote and illustrated his first book, Uptown, which won a Coretta Scott King Award and the Ezra Jack Keats Award. Collier has gone on to win 4 Caldecott Honors for Martin’s Big Words, Rosa, Dave the Potter, and Trombone Shorty. Collier has won 8 Coretta Scott King Awards and Honors for Rosa; Martin’s Big Words; Freedom River; Visiting Langston; I,Too, Am America; Dave the Potter; Knock, Knock; and Trombone Shorty. Collier lives in upstate New York with his family. A reader from childhood, Ms. Coley didn’t realize that she wanted to be an author until she was thirty. However, she has quickly made up for lost time and has written seven novels as well as numerous short stories. Her work has been translated into eleven other languages. Although she would prefer to live in California or Mars and has lived all over the world, she currently lives in Ohio with her furry felines, Pippin and Merry. Mindy McGinnis happily surrounds herself with nine cats and two dogs in her Ohio home. Ms. McGinnis is the Edgar award-winning author of Madness so Discreet. Her most recent book, Given to the Sea, tells the story of Khosa, a girl born to be a sacrifice to the sea in order to prevent a tidal wave from destroying the kingdom. However, before she can perform the sacrifice, she must produce an heir to the kingdom, even though she finds the idea of human touch revolting. The sequel, Given to the Earth, is expected in April 2018. Having written over forty books which have garnered awards too numerous to list here, Margaret Peterson Haddix is one of the most prolific and successful Ohio authors. She writes in a variety of genres, from adventure to dystopian fiction to fractured fairy tales to time travel; something for every reader. Some of her most popular books include the Shadow Children series, the Missing series, and the Palace Chronicles. Julie K. Rubini grew up in the country with a strong love of both nature and literature. As a child, she was a bookworm, and she instilled the same love of books in her own children. One of her children, Claire, died unexpectedly at age ten, and to honor her daughter, she founded Claire’s Day, which has grown into a literacy celebration that impacts over 15,000 children each year. Ms. Rubini has recently become a non-fiction author, and her first book, Hidden Ohio was published in 2015. Her most recent book is a biography of Virginia Hamilton. Jennifer Mashari loves pepperoni pizza and exclamation points! She adores reading and science, which she has taught to fifth through eighth graders. While holding down a full-time teaching job, she recently had two books published to rave reviews: The Remarkable Journey of Charlie Price and Things That Surprise You. Michelle Houts wrote her first successful story in first grade, and from then on she knew she wanted to be an author. She took a little detour and became a teacher and mother first, but in 2010 she published her first book. She has published six more books since then in a variety of genres. She does all of her writing in a restored one-room schoolhouse. An aficionado of peppermint mochas and the loving owner of Yeti and Wookie, Natalie D. Richards has turned her talents from business writing to YA fiction. Her newest book, One Was Lost, is a mystery in which five kids on a camping trip wake up from a mysterious sleep with the words, “damaged, deceptive, dangerous, and darling” inscribed on their wrists. They then see four dolls acting out a murder and realize that they are being hunted. After spending 17 years attempting to write adult novels without any luck, Erin McCahan hit the jackpot with YA novels. Her experience working with teens as a youth pastor gave her a valuable insight into the teen experience. She enjoys writing contemporary, multigenerational novels, perhaps because of her close relationship with her grandparents. Her most recent release, The Lake Effect, received a starred review from Kirkus and was named a “Best New Book of Summer” by the New York Daily News. Most days, Michaela can be found somewhere in Ohio counting sunny days, giggles and jelly beans — usually with a sketchbook in hand. Other days, she is in front of her computer designing and drawing amazing things for amazing people. Linda is an Ohioan, born and raised! She loves animals and nature. “Picture books, chapter books, middle-grade novels, fiction, and nonfiction are all genres I love and work in.” Her book, Once Upon an Elephant, was on many award lists and her newest, Night Creepers, will be out this fall. Nancy Roe-Pimm wrote and illustrated her first book when she was only ten-years-old. Her dream of having a book on a library shelf has finally come true, thirty-five years later! They span many topics from stock racing to gorillas. Her latest books are The Jerrie Mock Story-The First Woman to Fly Solo Around the World and Bonded by Battle-The Powerful Friendships of Military Dogs and Soldiers from the Civil War to Operation Iraqi Freedom.